When it was first released in 1962, The Shape of Time presented a radically new approach to the study of art history. Drawing upon new insights in fields such as anthropology and linguistics, George Kubler replaced the notion of style as the basis for histories of art with the concept of historical sequence and continuous change across time. Kubler’s classic work is now made available in a freshly designed edition. This book will be of interest to all students of art history and to those concerned with the nature and theory of history in general. In a study of formal and symbolic durations the author presents a radically new approach to the problem of historical change. Using new ideas in anthropology and linguistics, he pursues such questions as the nature of time, the nature of change, and the meaning of invention. The result is a view of historical sequence aligned on continuous change more than upon the static notion of style—the usual basis for conventional histories of art. "A carefully reasoned and brilliantly suggestive essay in defense of the view that the history of art can be the study of formal relationships, as against the view that it should concentrate on ideas of symbols or biography."—Harper's. "It is a most important achievement, and I am sure that it will be studies for many years in many fields. I hope the book upsets people and makes them reformulate. "—James Ackerman. "In this brief and important essay, George Kubler questions the soundness of the stylistic basis of art historical studies. . . . 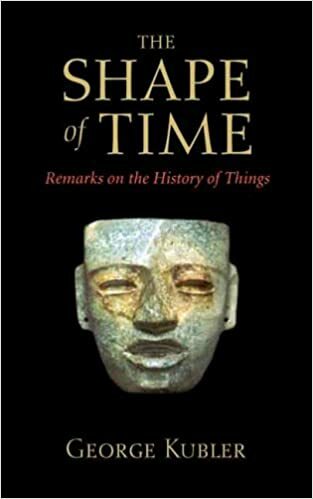 The Shape of Time ably states a significant position on one of the most complex questions of modern art historical scholarship. "—Virginia Quarterly Review.